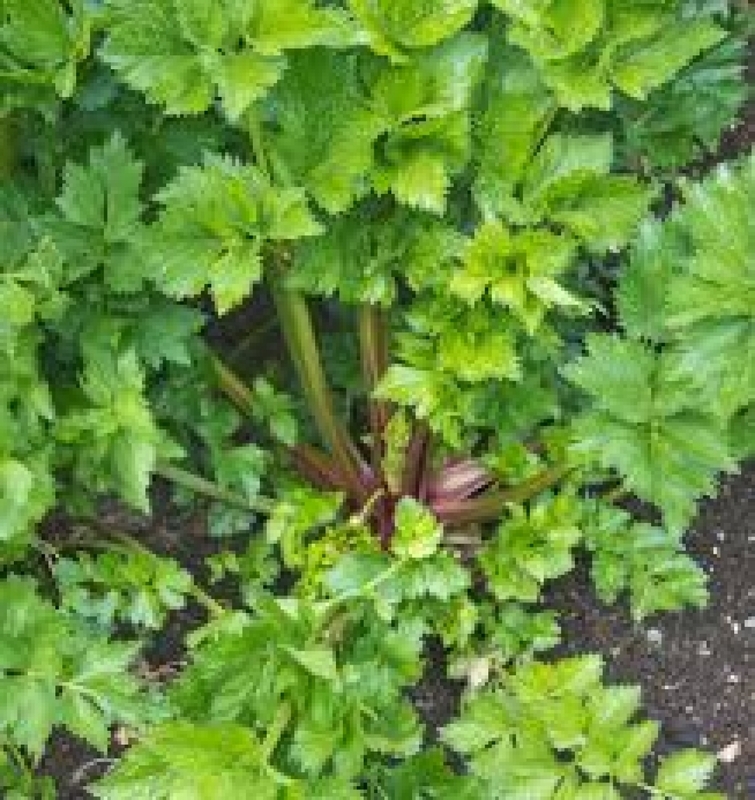 This celery, bred for it leaves rather than its beautiful stalks, It has a flat leaf as flat parsley with bushy branching, glossy leaves ant fine stems. 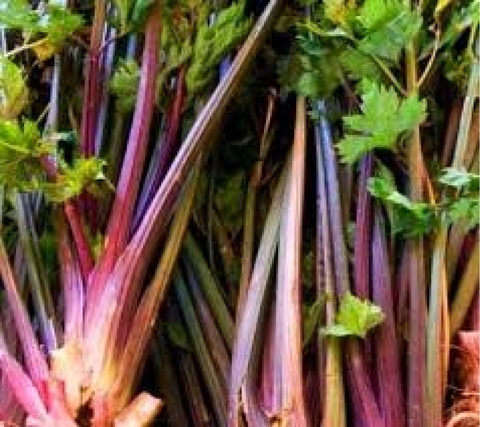 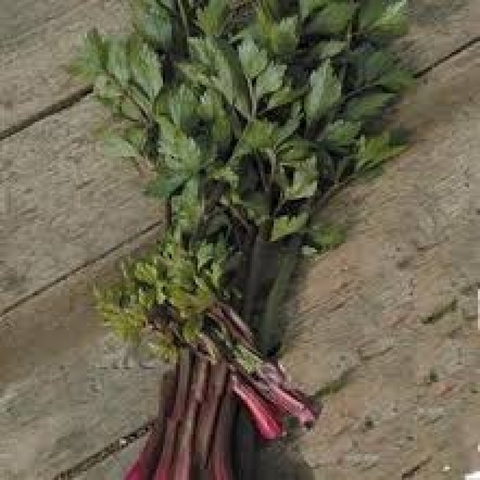 It mainly harvest by the stalks, which will be above ground or as cut celery and not for it root. 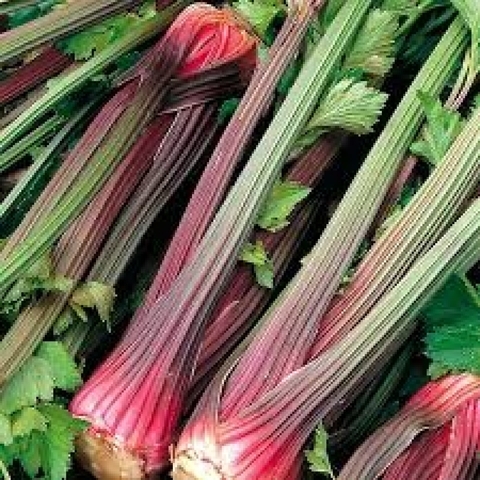 The leaves and the stalks are very potent and have a peppery celery aroma like others celery but some prefer this red celery compare to other as it taste much more flavorful. Spacing : 9" - 12"
Size : 11" - 12"